When your dog just keeps on running the other direction what do you do? Well many dogs do this...they don't listen to a recall. Especially huskies but other breeds of dogs do it to. When your dog has the tendancy to do this it means he is interested in something else rather then coming back to you. If you always call your dog to you when you want to leave and go home and it means that the fun stops they soon learn not to come. For most dogs recalling them to say hi and then releasing them to play again is reward enough to come to you. Rather then only recalling them when you want to go home. So by the third recall you can take your dog back home. Next time maybe the second or fourth time so that your dog is never to sure when it will be. Still keeping it interesting enough for him to decide it is still worth it to come to you. Other dogs like huskies will maybe need a little more then that as they are very independent and not really people pleasers. For them and some other dogs you will have to have something interesting like a very yummy treat. Running the other direction with the treat in your hand will make your dog come much faster to you. This will make your dog want to chase you as it is fun and to see what is so interesting that you are running away. Of course later on you will only treat variably so that your dog does not no when to expect the good stuff. 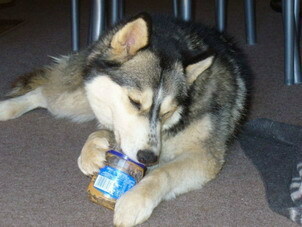 But this must be something really good like peanut butter or what ever your dog’s favorite treat may be. Dogs are all in the moment and remembering that and keeping it fun will really help. They will leave what ever they are busy doing to get what is more exciting and fun. It's up to you to figure out what that may be. You can of course start of with the training of putting a very long lead on your dog’s collar. Then let him wonder off and recall him a few seconds later. When your dog comes to you, you can treat him and make a big fuss about it. Then move on to an open but safe place and do the same without the lead and treat your dog when he to come. There are really many way's to go about it. My favorite that works best for my dogs is turning my back and running away. It works 90% of the time. They just can't resist seeing what I’m up to. Be imaginitive and it will help you alot with finding way's to stimulate and excite your dog.